The workshop fee includes workshop, lab fees, and dormitory lodging for six nights. Students will arrive July 07, 8pm. Contact us for other lodging options. Supply list provided upon registration. 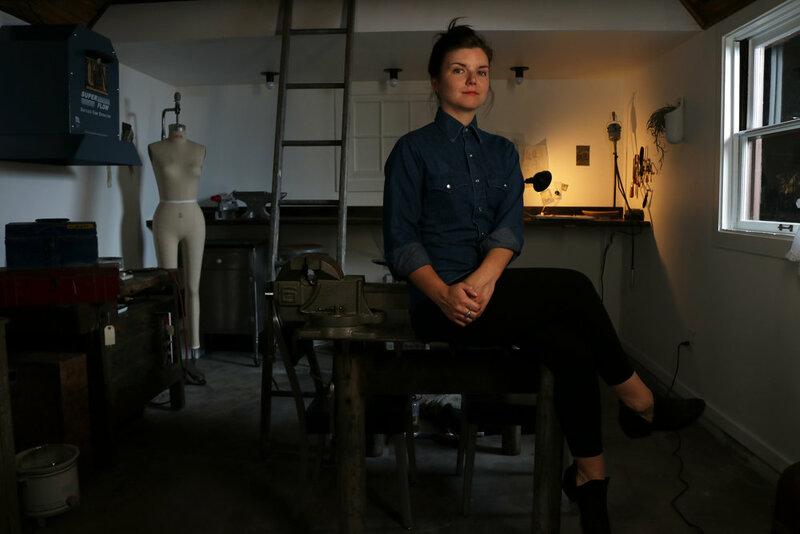 Trained as a metalsmith, Rachel Reichert's work blurs the line between art, preservation, and community engagement. Often working in the format of installation, performance, small sculpture, and social practice, Reichert’s work is influenced by cultural heritage, and the identity of place. An Idaho native, Rachel manages Studio R where she develops one-of-a-kind art objects, teaches, and consults for individuals and organizations that aspire to connect more authentically with the people and places they surround.